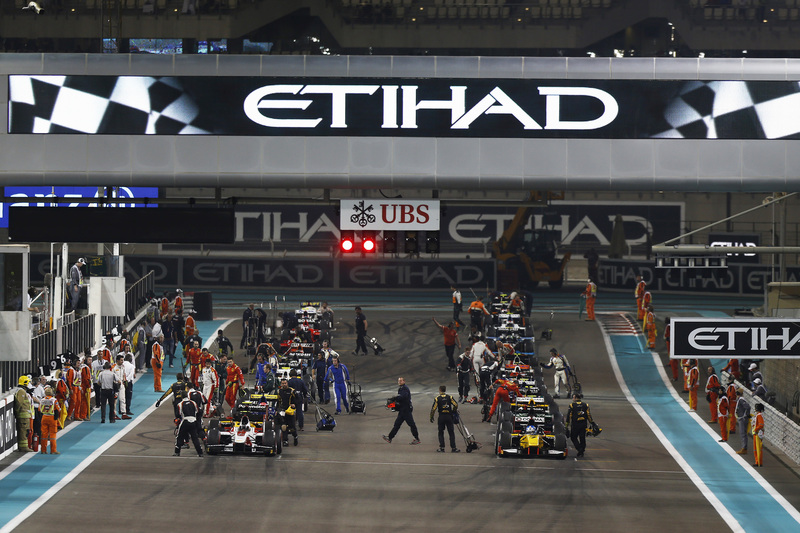 GP2 testing begins in Abu Dhabi in March, with the season concluding there too. © Sam Bloxham/GP2 Series Media Service. The GP2 Series announced its 2015 season calendar during the week, with the Formula One support class revealing a mostly consistent schedule. As with this year, the championship will be made up of eleven rounds, beginning in Bahrain in April and following Formula One through the European season, before drawing to a close at the Abu Dhabi Grand Prix next November. The only question mark at this point lies with the eventual venue of the German Grand Prix, as ongoing financial and ownership issues at the Nürburgring continue to plague with the classic arena. Unfortunately due to nature of the Formula One calendar, sizeable gaps remain between the Italian and Russian events (five weeks) and the Russian and Abu Dhabi finale (six weeks). There are to be two pre-season tests – firstly at the Yas Marina circuit in Abu Dhabi from March 9th-11th, followed then by three days at the Sakhir circuit in Bahrain in early April. Also, the GP2 Series formally announced the teams that will be competing in 2015; however the only change to this year is the already announced departure of Caterham Racing who have been replaced by Status Grand Prix.